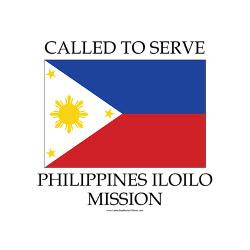 The Phillipines Iloilo Mission is one of 21 LDS Missions currently designated in the islands of the Phillipines. 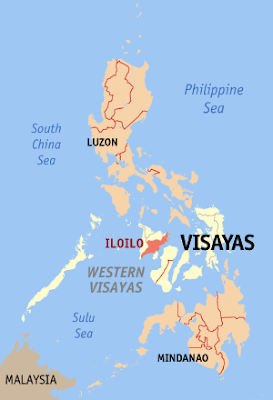 The Phillipines Iloilo Mission encompasses Panay Island and the island of Guimaras immediately to the south, as well as several smaller island to the north. The Philippines is an archipelago of 7,107 islands with a total land area, including inland bodies of water, of approximately 300,000 square kilometers (115,831 sq mi). Its 36,289 kilometers (22,549 mi) of coastline makes it the country with the 5th longest coastline in the world. It is located between 116° 40', and 126° 34' E longitude and 4° 40' and 21° 10' N latitude and is bordered by the Philippine Sea and Guam to the east, the South China Sea and Vietnam to the west, and the Celebes Sea and Indonesia to the south, with New Guinea and Australia a bit beyond. Most of the mountainous islands are covered in tropical rainforest and volcanic in origin. Nearly 90% of the flat plain and coastal areas of Panay Island are dedicated to farming, producing rice (palay), corn, coconut, abaca, coffee, peanuts, sweet potato, garlic, banana, mango, cashew, cut flowers, pineapple, cassava, tobacco, watermelon, and other legumes, various vegetables and rootcrops. The LDS.org web site featuures a nice new mapping facility. You will need an LDS member account to log in. View a very nice interactive map of the Phillipines Iloilo Mission. 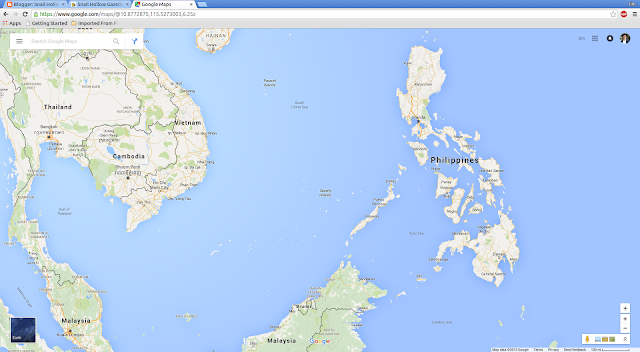 Panay Island spans an area roughly 100 miles across. Iloilo is a province of the Philippines located in the Western Visayas region. Iloilo occupies the southeast portion of Panay Island and is bordered by province of Antique to the west and province of Capiz and the Jintotolo Channel to the north. Just off Iloilo's southeast coast is the island province Guimaras, once part of Iloilo but now an independent province. 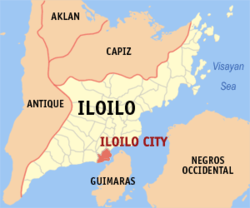 Iloilo's capital is Iloilo City though the city itself is independent and not governed by the provincial government of Iloilo. According to the 2010 national census, the population of province excluding Iloilo City is 1,805,576. If Iloilo City is included, the population is 2,230,195. Hiligaynon (informally referred to as Ilonggo) is an Austronesian language spoken in Western Visayas in the Philippines. Hiligaynon is concentrated in the city of Iloilo. It is also spoken in the other provinces in Panay island. Majority (72 percent) of the household population in Iloilo classified themselves as Hiligaynon/Ilonggo. About 14.8 percent considered themselves as Karay-a and 11.3 percent as Kiniray-a. Other ethnic groups included Kankanai/Kankaney/Kankanaey (0.19 percent) and Cebuano (0.18 percent). Heavily populated areas on Panay tend to be islands and low lying flat coastal plains. The interior of the western region of Antique province is mountainous and less populated. 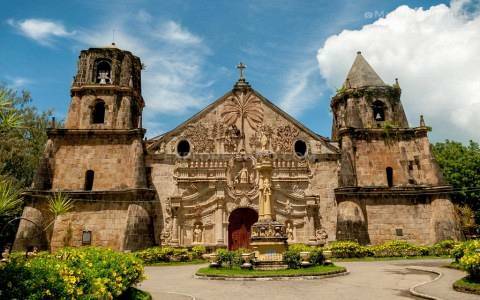 Iloilo is predominately Catholic, comprising about 90% of the population of the province. Siopao is a favorite food local to iloilo. In 2013 Typhoon Haiyan crossed the northern end of Panay, causing extensive damage. Update: My nephew's son Ammon gave the obligatory missionary "farewell" talk today at thier home ward in Morgan. Farewells are supposed to be done away with, but generally it seems that departing young men are still invited to speak in Sacrament meeting before they go off into the MTC. Ammon's talk was excellent, and we spent a few minutes visiting with family members after the Sacrament meeting. Obviously a good start to some outstanding missionary service.